Martyn and Shanny have lived in their beloved house for their entire marriage. Now facing empty-nest syndrome they decide to sell directly to Fischer and Lindsay, a younger couple just starting their life together in wedded bliss. On the day Martyn and Shanny are handing over the keys to Fischer and Lindsay, things start genially but quickly devolve when the young couple starts talking about their plans for The House. 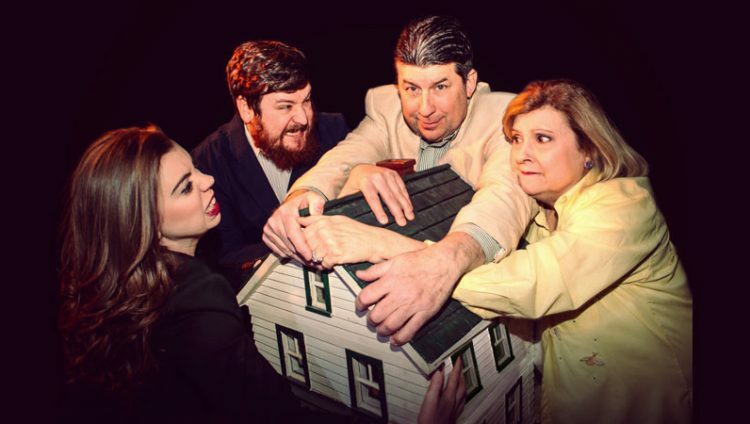 The production is directed by Kelly Komlen, stage managed by Brandy Joe Plambeck and features Sue Chekaway as Shanny, Erin Hildebrandt as Lindsay, Jerry M. Nehr, Jr. as Martyn, and Andy Reid as Fischer. The design team features Nick Yocum (set), Brandy Joe Plambeck (lights and sound).